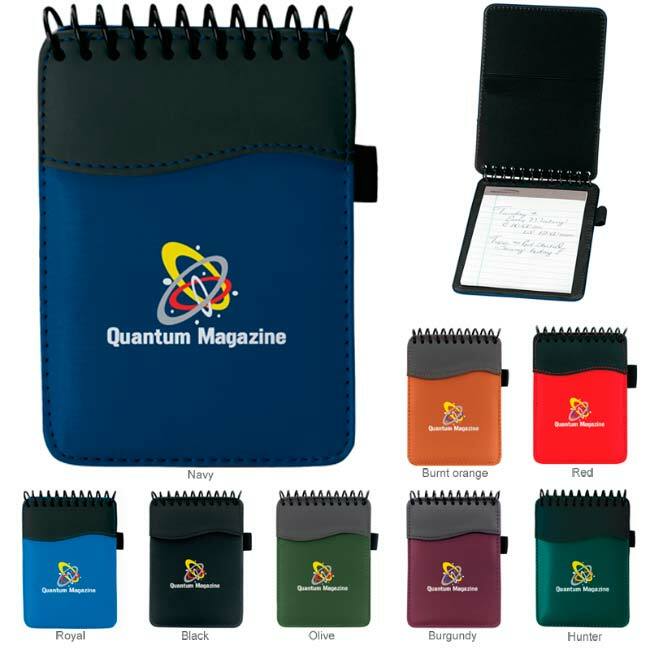 With your logo imprinted on the front cover of a promotional jotter pad, your clients will have a unforgettable, personalized memo jotter they will use on a daily basis. Prospective clients will flock to your booth at conventions and tradeshows once they catch a glimpse at these custom printed jotter pads. Available in different styles and colors, jotter pads are available with leather trim and can be paired with a custom pen to match. Take a message - get your promotional jotter pads now from Elite Design. To request a quote on a Custom Promotional Jotter Pad Click Here . Quantity discounts available.